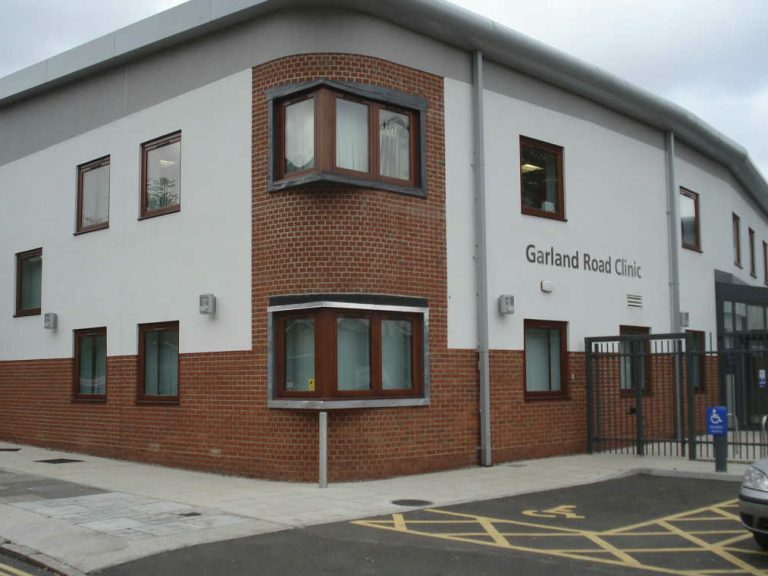 The renovation of the Garland Road Health Clinic replaces the existing purpose built clinic that was built in the 1940’s and is owned by the Greenwich PCT. The new clinic will house GPs, health visitors and district nurses as well as podiatry and dental services. 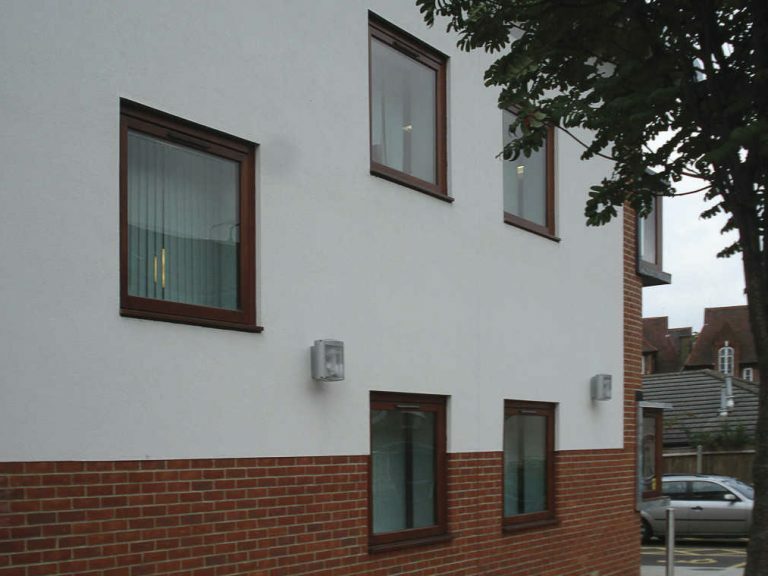 The main requirements of this project at Garland Road Clinic were to install contemporary pivot windows to match the modern design of the building. George Barnsdale & Sons designed, manufactured and installed high quality and long life pivot windows into the Garand Road Clinic building. The windows were pre-glazed with 28mm sealed units comprising of 6mm toughened and 6.4mm softcoat laminated glass, enhancing the strength, safety and security of the window. Excellent security and weather performance is gained by all round multipoint locking which also contributes to the long life of the window. The windows were manufactured from clear finger jointed Redwood WoodHeart® which is very stable and therefore durable. It is knot and resin pocket free which ensures the coating does not suffer from brown stains and resin breakouts. This provides the ideal substrate for long term coating performance ensuring that the window will last. Pivot windows also have the added benefit of being able to be cleaned from the inside as they can fully rotate. The windows were finished in high quality Sikkens paint and were registered on the Sikkens Sentinel Plus programme which offers up to 25 years paint manufacturer warranty. 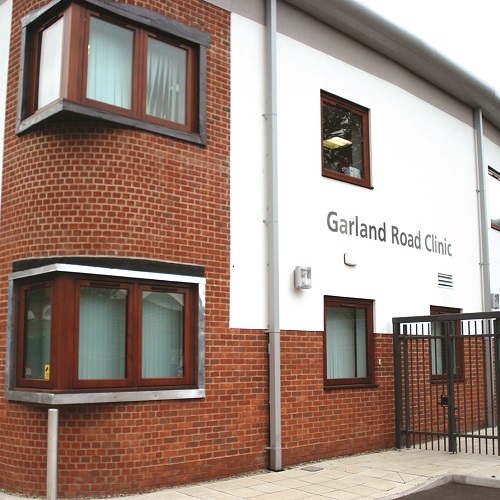 The windows were fitted at Garland Road Clinic with Hautau ironmongery which enhanced the quality of the window and were installed by Barnsdale Windows.